Bhaag Milkha Bhaag is Superb! Must-see film..! I was in for a wonderful treat on the Sunday morning. Yes, totally loved Bhaag Milkha Bhaag for many reasons! I was reminded of ‘Chariots of Fire’, a film I had seen many years back, but which remains one of my favourite films till date. There is a certain excitement about stories based around sport, and Bhaag Milkha Bhaag, is of course, in that genre. The sweat and toil, the determination, the hard work, the competitiveness, the rivalry, all of these are emotional elements and they draw the audience in. At the outset, here was an extremely talented team at work! 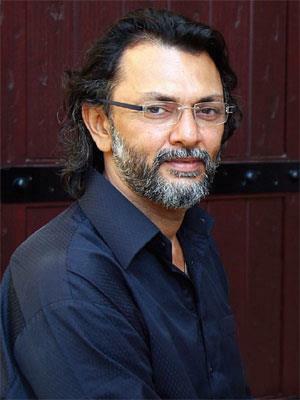 Starting with the director, Rakeysh Omprakash Mehra, one of the sharpest and most talented young filmmakers in Indian cinema today. I had found his first venture, Aks, to be a very interesting experiment. And then of course, Rang De Basanti was an iconic film. I had liked his next one, Dilli 6 also. So this one comes as yet another great piece of work by the young man. His partner in crime from RDB and Dilli-6, Prasoon Joshi is very much present here as well! He takes care of a super story, screenplay, dialogs and lyrics. His brilliance shows in all of these aspects! Binod Pradhan does a fabulous job with the camera, especially on some scenes filmed in Ladakh. Shankar Ehsaan Loy put together a very credible composition for the times when the story has been based. That’s an awesome team working at the back. Of course, the one hero is the original story, and the man himself, the Flying Sikh, Milkha Singh! It is amazing to see and note the life that he lived. A child of the partition days, he saw the extreme pain and angst of separation, was brought up in very tough environs, took to stealing coal to make some money, and from that kind of background, emerged to be one of the best athletes that India have produced, and perhaps one of the best sportspersons that India has every produced. Now that’s quite a rollercoaster of a life! Kudos to Farhan Akhtar for delivering Milkha Singh to us! His is an absolutely brilliant performance. He has clearly put in massive effort to get it right. From the physical development, to the running style, the look, the accent, the Punjabi language, the dancing.. everything. And he delivers well on all of these. Clearly, he seems to be the perfect fit for this role. Some great shots he delivers include the extreme face crunching pain that he feels as he runs hard on the tracks, or when (the many times) he falls and gets hurt, or his scenes with his sister, or the time when he returns back to his old home in Pakistan, or when he comes back with his medals and gives a medal to his first coach and falls at his feet, etc. etc. All great scenes, very well acted!! There are good supporting performances from Pawan Malhotra and Yograj Singh as the coaches, and Divya Dutta as Milkha’s elder sister. Divya Dutta and Pawan Malhotra were in Rakeysh’s Dilli-6 too, and are also two really good supporting actors, who leave their mark, even in short roles. Sonam does not have much of a role in the film. The young boy who plays Milkha Singh as a child also delivers a fantastic performance. It was very interesting to see the country glued on to the radio when Milkha Singh was taking on his Pakistani counterpart, and when he emerges winner, the kind of celebrations that India witnesses, were bigger than what we see these days, when India beats Pakistan in a cricket match! Overall, Milkha Singh’s story is told very well, in interspersed flashbacks, in almost a similar way that Mehra had mixed the characters and story of India’s pre-independence revolution with modern day characters in Rang De Basanti. In summary, this is clearly the best film to be released so far in 2013. There is a good chance that the Best Director award for the year is already decided in favour of Mehra, and even if that were to be in doubt, rest assured that the Best Actor award’s a taken now! Others will be competing for 2nd place to Farhan Akhtar. 3. It’s all about FOCUS. 4.There are no short cuts in life. Hard work, dedication, obsession about one’s goals.. that’s what it takes to succeed. Go, see Bhaag Milkha Bhaag.. ! Exceptional review, Sir. I had plan to watch this movie today, but heavy rains ruins my plans. Although BMB appears to be a long movie, but dedication and effort of the crew can be seen from the promos itself. Farhan looks awesome as Milkha and I think there are very few actors in Bollywood who could have pulled off the legendary character better than him. There’s no doubt about the acting skills of Farhan, but in this movie we got to see his dedication and determination to enact a role with extreme perfection. You mentioned about “Chariots of Fire”, and I must add here that I have watched that movie quite a few times. It’s a cult and it’s difficult to match the standards of such a movie. With what I read about BMB, there’s lot of flashbacks and melodrama and less running, which can turn out to be a spoiler. I won’t critique the movie because I haven’t yet watched it, but now that I have read your fabulous review, I will certainly go ahead watch it tomorrow evening. Well said. Indeed, Chariots of Fire is cult, and I won’t compare BMB with that one. Except for being reminded about it! And yes, there is some drama and not just running, but I guess that has made it more interesting as a story. A well written review Sanjay! I share exactly the same sentiments and experienced a couple of goosebump moments in the movie. They should be making more movies like this. It was Farhan’s movie all the way, but he could not have pulled it off without some stellar contributions from the team; not only on the acting front. Just goes to show that victory is a team effort and unsung heroes will always be behind a real solo endeavour! The Sterling Holidays experience, and why Timeshares may not be a good idea anymore? !